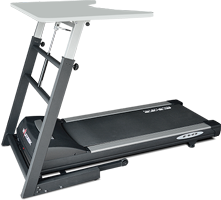 The Evocardio Walkdesk helps you stay in shape by walking and burning calories while maintaining productivity. According to some researchers sitting is as unhealthy as smoking. This is bad news, especially for those with an office job. 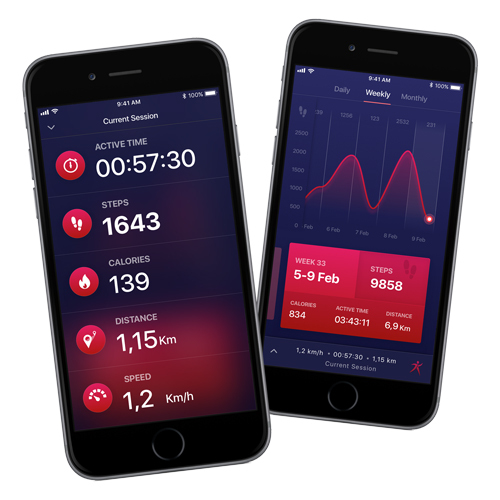 A recent survey showed that most people between the moment they wake up and the moment they go to sleep, will have spend almost motionless or inactive. The average person would spend half of the 'waking hours' sitting (or lying) at the breakfast table, in the office, while traveling back and forth between home and workplace, at the table, in front of the TV. There is a simple solution to change this habit: move more! 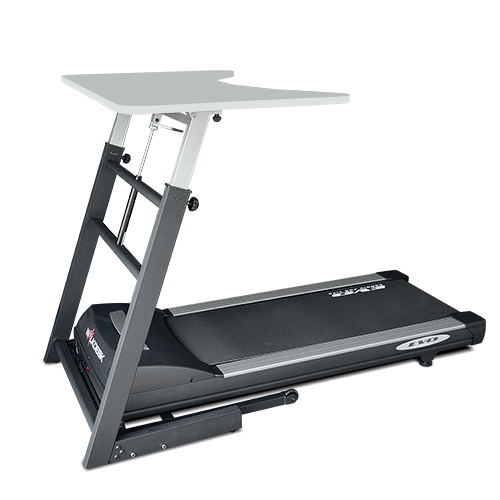 Especially for those who like to exercise, the Walkdesk™ WTD200 has been developed: an office above a treadmill. 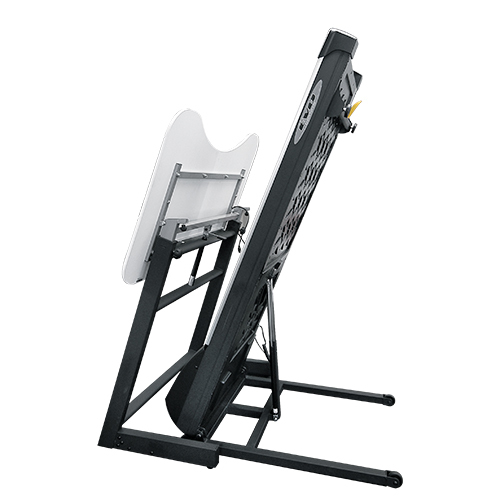 The Walkdesk™ WTD200 is the new way to exercise regularly. The comfortable walking surface has the ideal size (51 x 148 cm) for fast walking or a more relaxed walk. The desktop (90 x 150 cm) is large enough for a laptop, a screen and working documents. 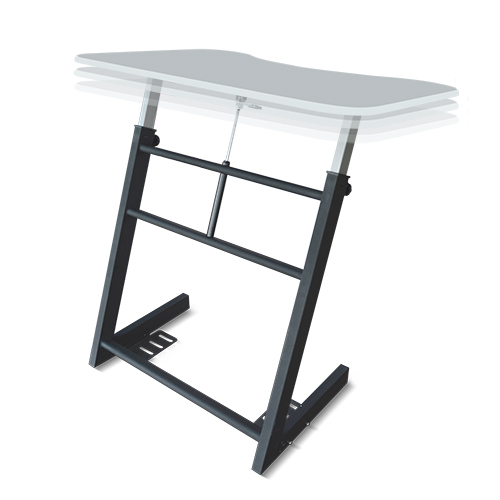 The desk is adjustable in height from 110 to 132 cm. The specially developed 2.5 hp motor will never become overheated, even at a slow walking speed, one can walk as long as necessary. 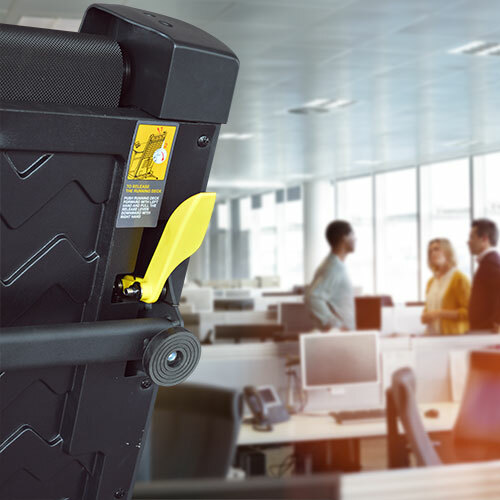 The folding Walkdesk™ WTD200 is ideal for use in smaller spaces. The LCD control display has a modern design and can be mounted on the left or the right side of the desktop.